Has it been more than a year since you placed an order with Young Living Essential Oils? Are you ready to begin your essential oil journey all over again and transform YOUR life? Are you ready to get that box out of the closest and start working on a healthier lifestyle? Did you know that when you joined Young Living that your membership is for lifetime? To re-active your Young Living Benefits all you need to do is place an order of 50PV. Please try and contact the original person who enrolled you but if they are not around or not doing the business any longer I would love to have you on our team. Just log into your account and put my numbers in for your sponsor and enrolled, I'm # 2548110, then place a 50PV or above order. 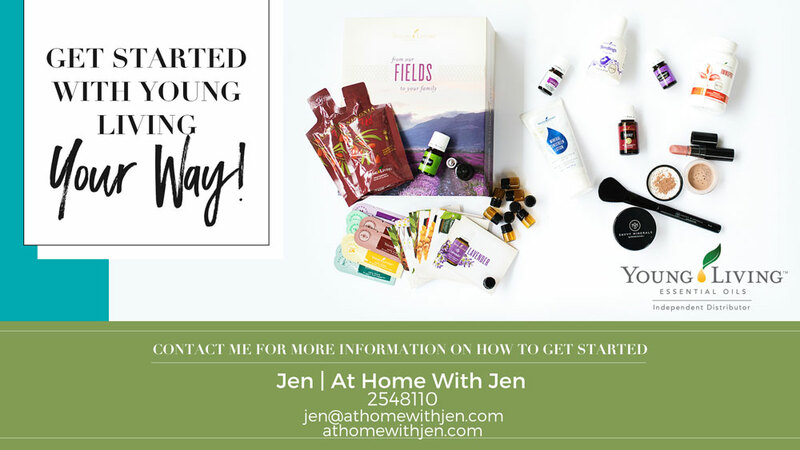 You can also call Young Living's Customer Care at 1.800.371.3515 or just contact me at jen@athomewithjen.com. We have a very active team with classes all the time and an active Facebook group where you can ask questions. Only if you use them! Support your weight management goals! Support a healthy immune response! Need Help? Fill out the form below and I will get in touch to answer any questions.